last but not least: third golf day in a row, third golf course experience. first thing to notice was, that due to the weekend it was much more packed on the course and on the tee time entry list. even the rest of the island was a bit more crowded. 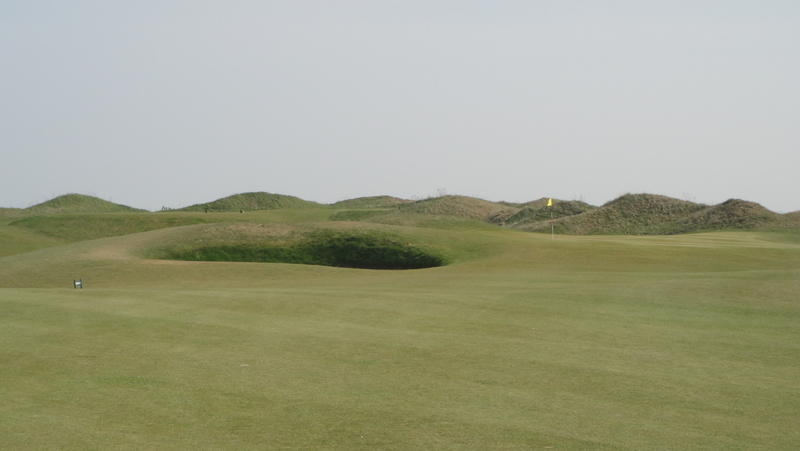 it’s really an issue, i guess: the weather improved and was brilliant, whealthy people from hamburg have a short way to sylt by car or private jet and so it was a bit difficult for me to start the round as easy as the days before. in the end i got a tee time 2 hours after my request and was assigned to three other people from hamburg with handicaps from 11 to 16 (which is far better than playing with some 54ers!). 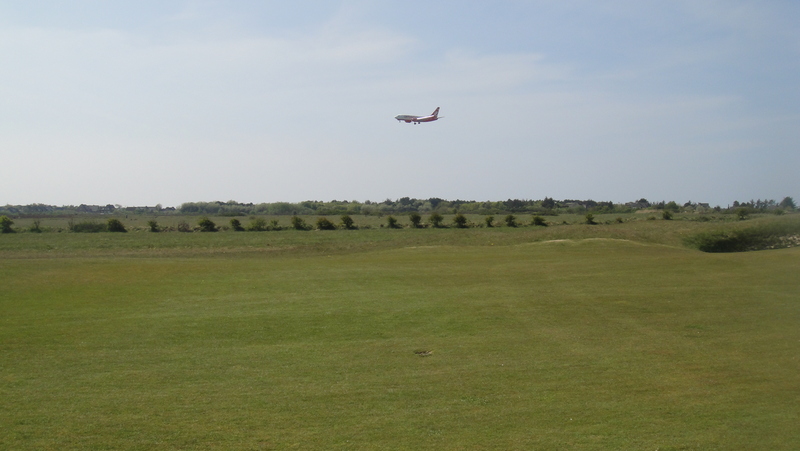 the course is situated right at the airport what makes it noisy for the most part. that is definitely on the downside. additionally it looks nice but it’s a very flat course and the advertised links character is lacking a bit. the front nine are – sorry to say – a bit boring. 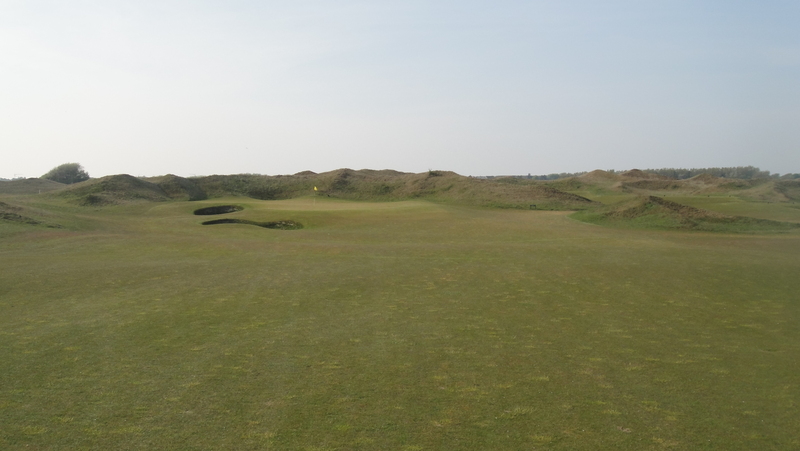 the fairways are wide, the rough is always playable, bunkers are deep but don’t come into play that often, it’s flat for the most part and there are very few hazards that could have made it a bit more exciting and good looking. the three people in my group (1 gentleman and 2 ladies – all very charming) helped me a lot with orientation and advice for course management and strategy. the result was a very nice round of 92 on this par 73 course. equalling 39 points i would have even improved my handicap if that was a tournament. that’s interesting and was really fun!! i’ve hit 36% of the fairways and my GIR went up to 28%. i had not one single penalty shot in the entire round and would have finished it with the same ball i had begun with, if there wouldn’t be such biotope where my ball landed in and which is prohibited to step on. so i got a free drop and finished the round with another ball i found in the rough. 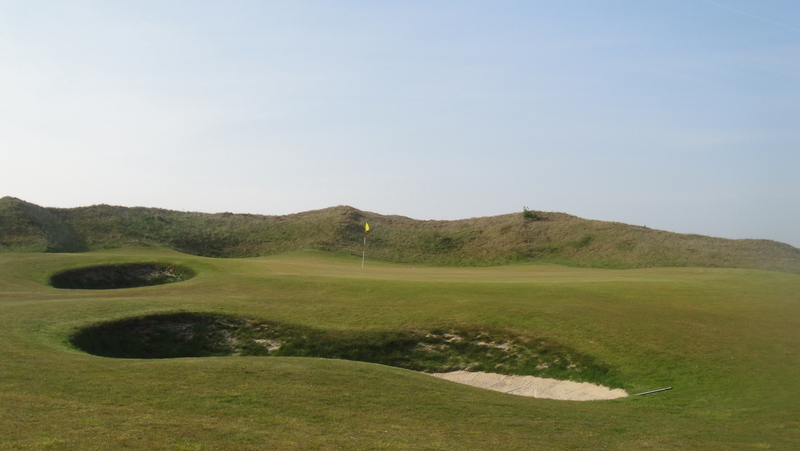 as a resume, i’d say that the marine golf club sylt is a nice course and i recommend it if you’re here some day, but in comparison to the 2 others i played, it’s definitely on rank 3!